As if we haven’t built enough hype around this year's 2018 Surf & Art Markets already, here’s a few more fruitful facts to get those froth-meters ringing off the charts! Clean Coast Collective and Stone & Wood have organized the annual beach clean up for the 2018 BBSF. 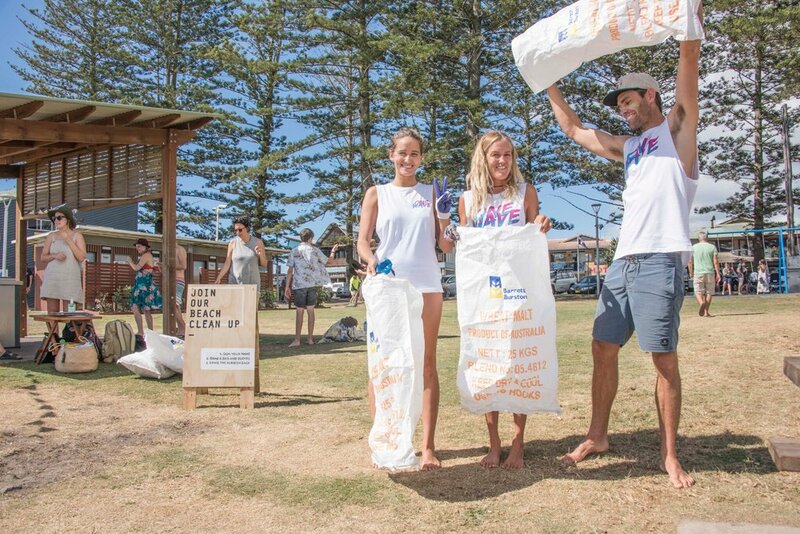 Help keep our beaches clean by joining in to pick up around Clarkes Beach on Saturday, February 24th. The team will be meeting at 9am at Denning Park, so gather your mates and come on out to show your support for your playground and our fishy friends and do a solid for the local environment. As far as we know, the earth is the only planet with waves, so therefore, it’s our job to keep the stoke alive! We all know we're going to need some coffee after Friday night’s festivities at The Beachy… Thankfully the legends at Allpress will be serving up the best fresh steamy brew all day long from their coffee caravan. You can dive deep and learn the secrets of how to make yourself a caffeinated cuppa from home during their coffee workshop at the Shaka Yurt from 11:15-11:45am. Love wax? We do too! MINI have created a limited run of Sticky Bumps wax for you to take on your next beach adventure. Kicking off at 10 am at the MINI market stall, come and meet the legendary free surf Harry Bryant, Sticky Bumps ambassador, who will be there to tell all about the magic ingredients and tricks to the perfect wax job. And if you’re lucky, you might even be able to score your own block of MINI x Sticky Bumps wax! DEUS presents… THE RIDE IN CINEMA! 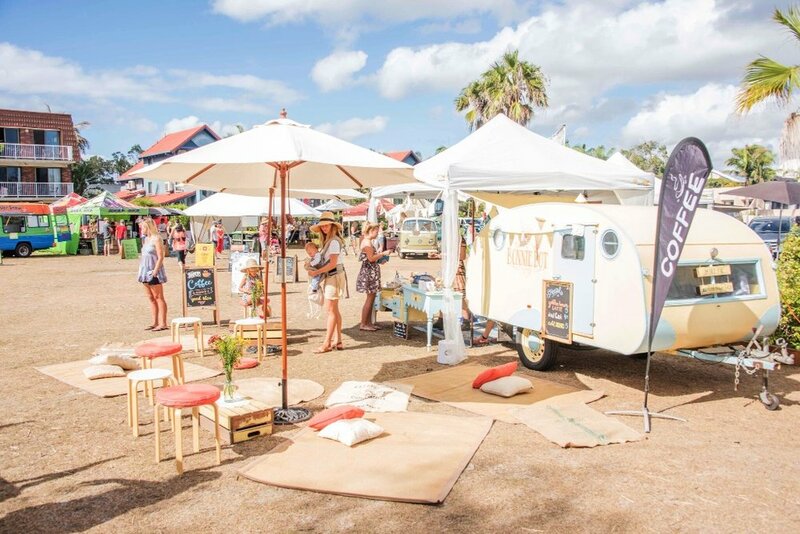 Deus Ex Machina will be showcasing their latest project, THE RIDE-IN CINEMA, at this years Surf & Art Markets. The beloved 20ft Deus Shaping Container (a massive hit at last year’s festival) has been given some love and transformed into an intimate 12 person cinema! The Ride-In Cinema will be screening ‘Blackboy’ and Harrison Roach’s ‘Over Easy’ throughout the day. Directed by Dustin Humphrey, Denny Blackboy is an award winning surf film based on the life of Deni Firdaus, a Deus longboard ambassador from Indonesia. Drop by to put your feet up and take in a quick flick with the Deus gang at 11:30am in the Shaping Container. The Shaka Yurt is where you get to be up close and personal with people creating and innovating new and inspiring art, products and new ideas! 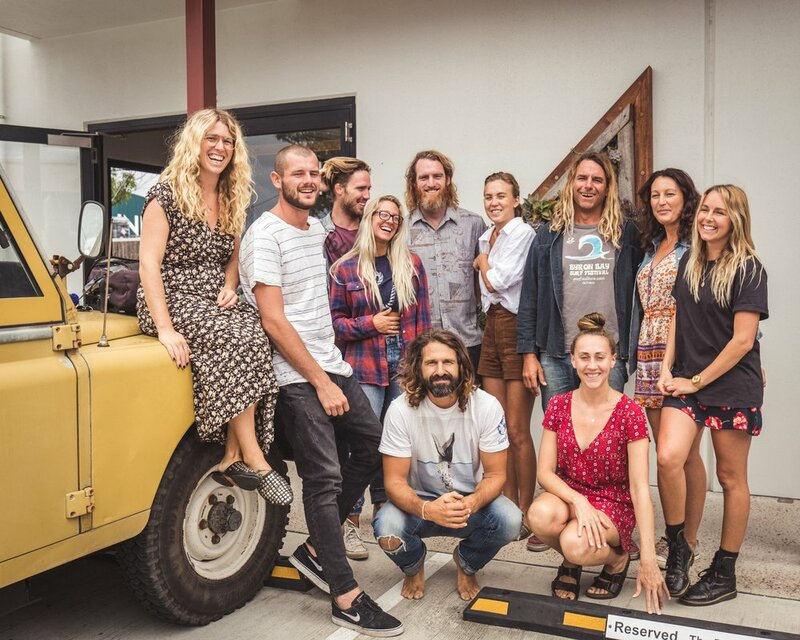 Included for 2018 is; The Allpress coffee workshop, Sustainability in business with Small Giants and Stone & Wood, Beyond Litmus with Andrew Kidman and Jon Frank, Vissla Adventure Vehicle with Jay Nelson, Sustainable surfboards and lifestyle with Bryan Bates, Grow Your Own with Chrystal Dawn, and Women in Surfing with Bec Oliver. See timetable here. Well, the ladies at Atmosea are out to change this, and want to invite all girls to their GURF PARADE at this years Suf Art Markets! Atmosea is a celebration of the grace and vitality of female surfing as a pass time, a culture and an overall expression of self - delivered with a special love for quality, design and functionality. The Atmosea team wants to make girls feel great about themselves - exactly the way they are! 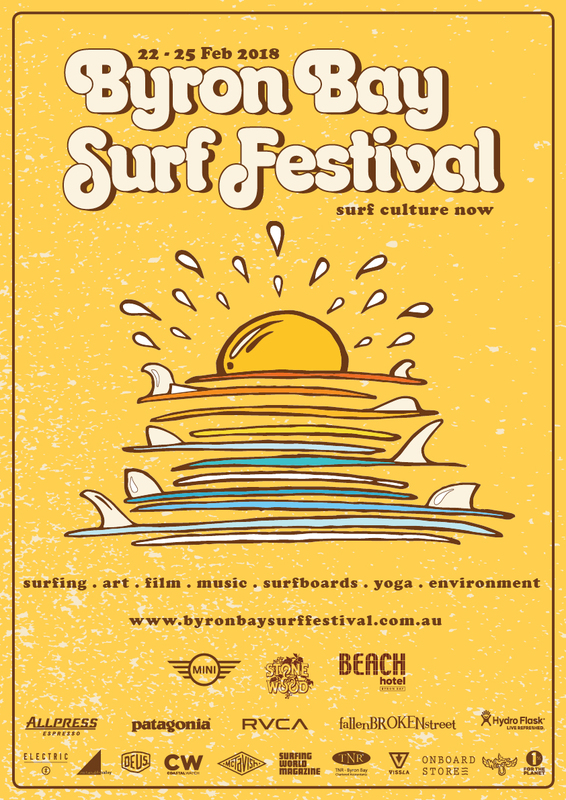 In honor of this empowering motive, they'd love for YOU to march along side them at the Byron Bay Surf Festival in their GURF PARADE, helping spread this message loud and clear amongst the surfing community! Stop by the Hyrdo Flask market stall and pick up one of their rad bottles that keeps your cold drinks icy and hot drinks steaming! All Hydro Flask products are flavor transfer proof, so today's IPA won't taste like yesterday's margarita. Cheers to that! It wouldn’t be a BBSF Surf Art Market with out the raddest sustainable fashion labels on display. Arnhem’s newest line, Primrose, is 100% eco friendly. From the fabric to the price tag, this line was created with sustainability and the environment at the helm. Arnhem will be occupying two tipis in the tipi forrest this year and we cant wait to check out their new line! What would a festival be without the individuals who grind behind the scenes!? We couldn’t have asked for a better team than this year’s lineup of legends, working day-in and day-out to make the 2018 BBSF better than ever before. And let's not forget where all the magic happened… A HUGE thank you to Sustainable Valley co-working space for allowing us to crash the work party, both night and day, providing our team the creative workspace needed to birth ideas and ensure the biggest and best festival yet! And if you're still on the hunt for a place to lay your head throughout the festi, contact our friends at Unique Estates, Elements of Byron, Byron Bay Luxury Beach Houses or 28 Degrees for the dreamiest stay possible.